Should The PLAYERS Championship Become The 5th Major? We have the Masters, U.S Open, British Open, and the PGA Championship. Then we have the World Golf Championships that take place throughout the season, as well as the FedEx Cup Playoffs that occur at the the end of the year. And then there’s the PLAYERS Championship. Often thought of as unofficially the ‘5th Major’, the PLAYERS Championship is essentially in a category all it’s own. 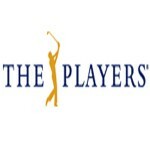 The PLAYERS Championship is known as the signature event on the PGA Tour, given the fact that it is played at TPC Sawgrass in Ponte Vedra, Florida, where it just so happens to be the world headquarters of the Tour. It’s one of the most sought after championships in golf, routinely producing one of the best fields in the game. So why not make it a Major Championship? There could be arguments both for and against making the PLAYERS Championship a Major. But the main argument against is it the fact that golf is largely based on tradition. And one of those traditions is the fact that there are only four Major Championships all season. But on the other hand, the PLAYERS Championship has all of the ingredients for a Major. It’s played in between the Masters and U.S. Open, it’s played on one of the most recognizable golf course in the entire world, and year in and year out the top-50 players in the world come to play in it. It really doesn’t get any better than that as far as a golf tournament. Oh, and not to mention that it has the richest purse and winner’s share of any tournament on the PGA Tour. The PLAYERS Champion wins more money than any of the four Major Championship winners during the season. Of course tradition and history is a part of golf. In fact, it’s a very important part of golf. But maybe making the PLAYERS Championship a Major will make it that much more exciting. Of course, those handcuffed to the idea of traditionalism will be starkly against this. As it stands now, the PLAYERS Championship is one of the biggest weeks of the year on the PGA Tour, but it’d be pretty cool to install another Major, and have this generation be part of making new history. This entry was posted in Opinion and tagged 2013 players championship, british open, masters, pga championship, pga tour, tpc sawgrass, u.s open on May 7, 2013 by Bryan.